Your neighborhood jewelry store offers dozens of dazzling pieces, and it can be hard to find the right one for a woman you care about. That's why we're here to help with gift ideas for her. If you're shopping for a special lady, consider one of these three striking jewelry designs. These stunning earrings are perfect for a woman of any age. 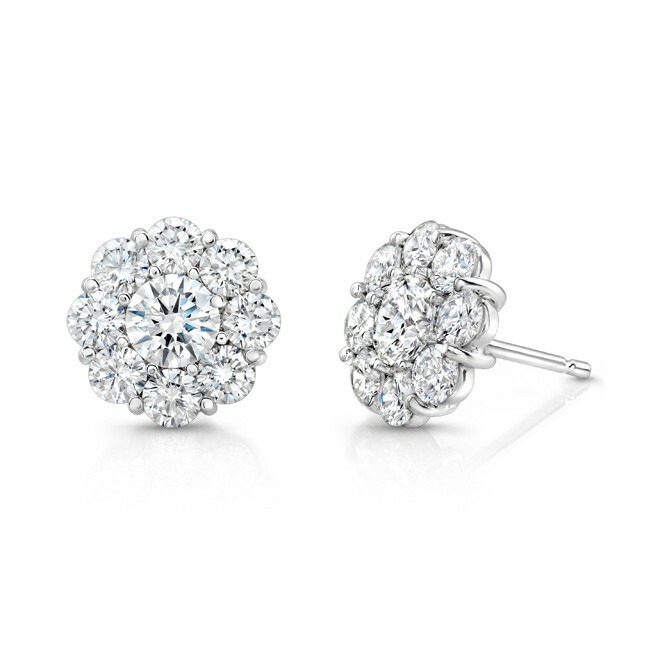 They feature 0.65cttw of responsibly sourced, round diamonds arranged in a floral design. White gold settings allow the natural beauty of these diamonds to stand out. While they're not over the top, they are sure to impress. If you're shopping for a woman who enjoys a mix of contemporary and classic styles, this bangle deserves your attention. 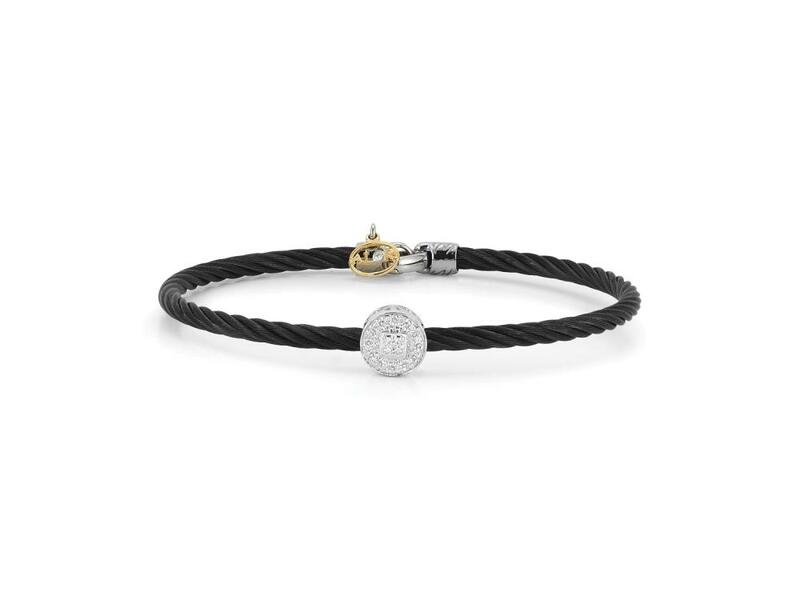 A 3mm black stainless steel band closes with a white gold clasp with small yellow gold ALOR charm. Of course, what really stands out about this simple bangle is the stunning diamond decoration at its center. With 0.09cttw of sparkling diamonds, it's perfect for everyday wear but stands out as something special too. This stunning pair of earrings is perfect for the occasion when you need to make a big statement to a special woman. Stunning black diamonds play against beautiful whites and golds to meet in an earring that truly stand out. These earrings are perfect when you need to make a big statement or mark a momentous occasion. When you're shopping for the special women in your life, it's essential to work with a jewelry store that offers variety and understands your needs. At SVS Fine Jewelry, we take a personal approach our customers. We can help you turn your gift idea into a sparkling memento of your love and appreciation.